A tool for the professional, student and amateur astrologer, there is plenty in here for everyone. The amateur enthusiast will find this book packed with fascinating facts, and many anecdotes from astrology's past, all the way from pre-history to contemporary Europe and America. For professional... read more astrologers, this is a reference book in which they can quickly access brief biographies of historical and contemporary astrologers, together with the history and background of their subject in separate entries. 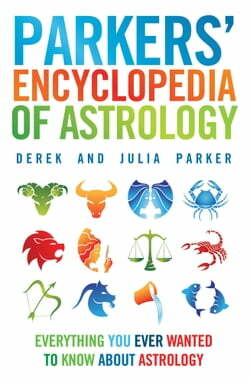 Students will find it equally useful in providing textbook definitions of astrological terms and basic explanations of technical aspects of astrology.It is a book which will appeal to anyone with a need or desire to discover or refresh their memory of the basic details of the subject. 'Derek and Julia Parker may seem like an innocent couple of astrology teachers, but they are a very, very naughty pair. They wickedly, brazenly break the rules by which this dry, complex subject is normally taught. They make astrology fun. They make it easy and then ...they slowly infect you with a burning desire to find out more ...And boy, do they know their stuff. If you stick with them, you'll know yours' - Jonathan Cainer, "Daily Express".